I’ve been off gluten for more than four years. It’s not a fad diet or something that just makes me feel better— it’s life and death. Before the wheat-allergy diagnosis, I was on a nebulizer three times a day, and it wasn’t working. I was taking Prednisone to keep my airways open. It was that bad. It had been 20 years since my last extensive allergy testing, the decision was made to just see if there were any unchecked food allergies. Et voila- a raging allergy to wheat. I was panicked- how does one get by without wheat? Wait, no bread? NO BREAD??! Turns out I like breathing more than I like bread. After much of my life on nebulizers, albuteral, inhaled steroids and pneumonia, in less than a week completely wheat-free my asthma was gone. Gone. GONE. In four years, I have not once had to use my nebulizer, and had to use an inhaler once, during a bad cold last winter. That’s it. One of the pitfalls is that gluten-free things are often a) really expensive, and b) taste like crap. I have failed (and done so spectacularly miserably) so many times while trying to figure this gig out. I’ve spent a lot of money on grainy, sludgey, gross foods trying to replicate what really only gluten can do. You can get passable (and getting better, really) substitutes for flour in the healthy-foods aisle, but they’re really, really pricey. 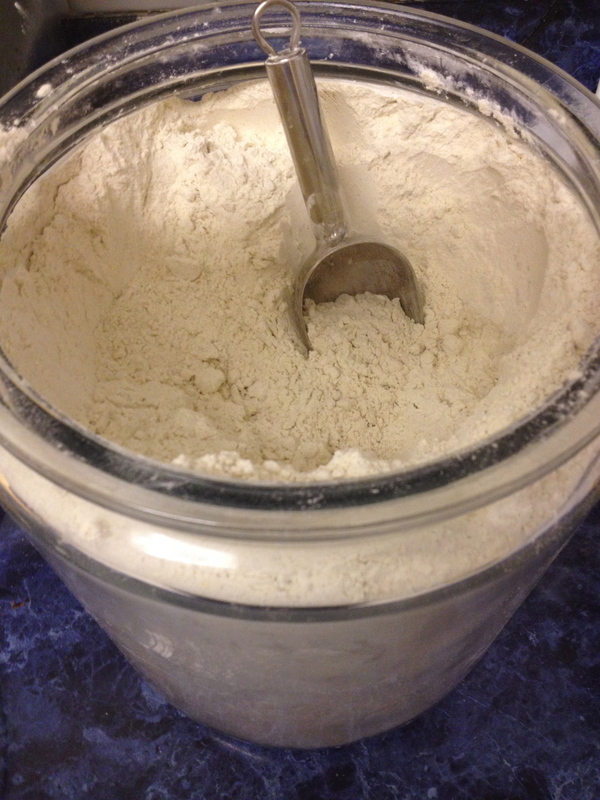 You cannot just sub rice (or any other grain) flour for wheat flour and get the same results. (See “grainy” and “sludgey” above.) So I opted to try and figure out making my own baking mix. I did some research, read a lot, and bought small quantities and played with the mix. Here’s the biggest tip I can give you: If you have an international foods market near you, buy your flours there instead of from the fancy, green, locavore National Whole Chain Foods. I can get my flours for less than $0.75 a pound at the international market. There is a 700% markup on the same flour at NWCF. So here’s my recipe. Now, there are a lot of ways to mix this, but the trick is to not get it everywhere, and to have it uniformly and homogeneously combined. A bucket or giant bowl would work, but I have found the least-messy way is to use a clean large plastic bag, pour all the ingredients in, tie it off, and roll it around. I’ve made some serious messes stirring flour, and this, by far, is the best way. It’s necessary to add the starches to alleviate the graininess of the rice flour— the both improve texture in the finished baked goods. When I first started, I didn’t know about millet flour, and it make a big difference in the crumb and holding-together of whatever you bake. 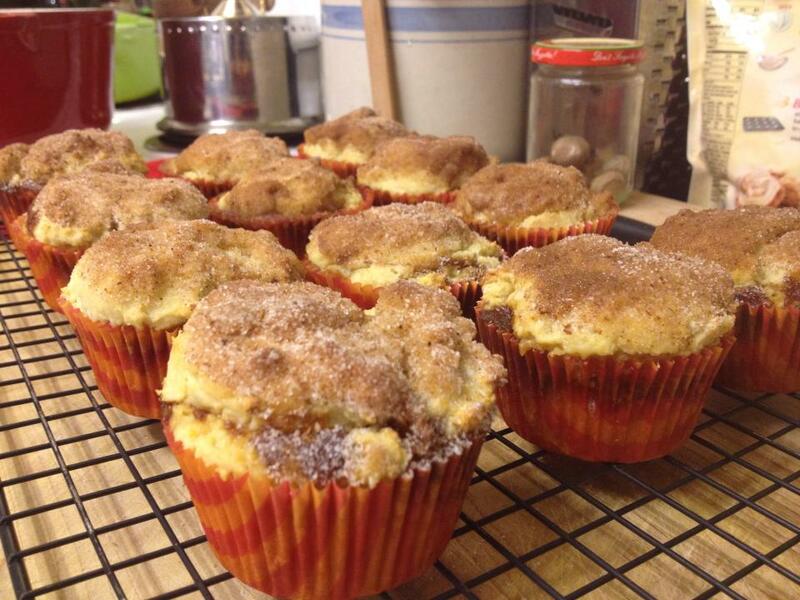 You can add corn flour, or fava flour or other bean flours, but I find the flavor too strong. Millet has a flavor, but it fades into the background after cooking. I use this flour mix, cup for cup, as I would in any recipe. Yes, it really works. It won’t feel like wheat flour dough- it will be more delicate. It will rise, and it will bake up nicely- as shown in the muffins above. Rolling it out will require a gentler hand and parchment paper, but otherwise, it’s even substitution. I do add xanthan gum to a lot of recipes- particularly if I want a chewier crumb and am using yeast. Again, helps the texture. It’s pricey, but Bob’s Red Mill makes a good one, and you only use, at most, 1 teaspoon in a recipe. So there you have it. Go forth and mix, my gluten-challenged friends! Also? I baked chocolate chip cookies with this, and the kids had NO IDEA. That’s a win, folks! THANK YOU!!! I went gluten-free about a month ago, and have enjoyed a dramatic improvement in my health. But the baking part has been tricky – it turns out I do not like garbanzo-bean flavored cookies. As soon as I find myself in a town with an international foods store (I’m livin’ in the boonies of Wyoming), I will try this! I did the same thing. Some of those premixed things are NASTY!! especially bob’s red mill chocolate chip cookie mix. YUCK!! I found another mix that works for me. I don’t do soy flour, so I use sorghum or oat flour, whichever i happen to find cheaper. Also, coconut flour!! I found that helps to stick things together very well, but like all others, you can’t use just that. I ran out a little while ago and everything came out nasty. had to go get some. Thanks for the tip on the international foods market, we have several here. Although, we also have Amish here and they like to have bulk food stores and I get xantham gum for half the price I would at the store, along with all the other flours. love my bulk food store!! I made gf pancakes for my nieces and nephews on vacation and now they only want those, not the regular wheat pancakes. Sorghum is great- but I’ve found I have to be careful with oats- there is a ton of cross-contamination with oats growing next to wheat fields. I have to look for specifically gluten-free oats. It’s a bit of a pain. I haven’t tried coconut- I’ll have to give it a shot. Thanks! i have used coconut the most so far– i like the flavor but the texture is missing something..